As promised last week, the Portland Bureau of Transportation is calling out the police to beef up enforcement on SE Clinton Street. 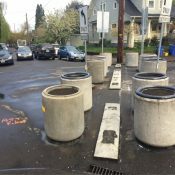 It’s just the latest tool in their arsenal in the battle to defend neighborhood greenways from rude and dangerous driving behaviors. According to a statement just sent around by PBOT, the police will take part in an “education and enforcement action” on Clinton between 12th and 50th tomorrow (12/15) from 9:00 am to 12:00 pm and from 4:30 to 6:30 pm (it’s unclear why they’re avoiding the morning rush). The aim of the increased enforcement is, “to enhance the Clinton Greenway and make it more inviting for people who are walking and biking.” It’s part of a multi-pronged effort to educate people who use Clinton that it was designed specifically for people to walk and bike. In addition to the enforcement, PBOT has placed 22 signs on the road to get the point across. All of this comes in advance of two new temporary traffic diverters that are going to be installed at 17th and 32nd in the first week of January. These diverters are aimed at discourage people from driving through the neighborhood. 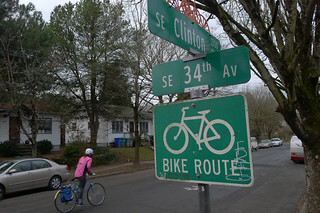 PBOT data shows that most of the traffic on Clinton is from out of the zipcode and is believed to be taking advantage of it as an alternative to the larger — and more congested — SE Division one block away. PBOT is stepping up and defending Clinton against dangerous and rude driving behaviors in part because City Council adopted a neighborhood greenways report back in August. That report set clear thresholds for how much auto use a greenway can tolerate before PBOT must step in and take action. At tomorrow’s enforcement action, the police will be looking for behaviors that threaten people on bike and on foot including: unsafe passing, speeding, aggressive driving, and noncompliance with stop signs. And they’ll be busting everyone who uses Clinton. So don’t think your bike is a get-out-of-jail-free card. Are they going to be using officers on bicycles, or the usual moto-cops? Since the enforcement is aimed at driving behaviors is safe to say they’ll be using motor vehicles. Wanna bet cyclists get half the tickets handed out in the interest of ‘fairness’? If so many cyclists didn’t break the law, they wouldn’t be stopped. If the goal is making things safer the limited enforcement resources should be focused on dangerous behaviors regardless of mode, and slowly rolling a stop sign on a bike isn’t a dangerous behavior but it will probably amount to 1/2 of the tickets. It they really want to do some good they will post up at the diverters and just ticket cars that go around them. Do you guys really have to have this same conversation below every enforcement article? Cyclists breaking laws that have little to do with safety and everything to do with putting “those cyclists” in their place? Sorry but cyclists breaking the law do impact safety. It may be just their own safety, but a driver who hits a cyclist who is running a red light still has to live with that incident. At some point we have to admit that we can be our own worst enemies because we feel it’s just A-OK to ignore laws because we aren’t endangering anyone but ourselves. All in all a very selfish position to take. Considering the most common causes for traffic fatalities and the limited resources for preventing those fatalities, I’d say it’s a very practical position if we want to have the most impact. It’s a waste of money to go after VRUs when there are drivers doing much more dangerous things on our roads. Can we stop with the cars to guns comparisons? No they’re not the same. One is a machine designed exclusively to inflict damage and kill. The other is a machine designed for transportation. Guns have no other use but for inflicting damage. Cars move millions and millions of people around without incident every day. I don’t know why I even bother to post on this site anymore. “why” is always a hard one to answer, but I’m glad you do. They’re not the same, but they are similar in the attribute that spiffy pointed out. They’re also different in the attribute you pointed out. The question is, which attribute (danger, or other uses) is more relevant in deciding how to allocate police resources? What percentage of cyclist fatalities in Portland over the last 5 years is the result of being struck after failure to obey a traffic control device. I don’t have the numbers, but experience and following the news tells me that the number is < 5%. I think that argument is a red herring. The cyclist doesn’t need to die for that collision to be traumatizing to the driver. Also, the point is valid regardless of the relative proportion of collisions in which the cyclist is at fault–the point being that cyclists who risk their own safety by breaking the law are making a decisions that affects people other than themselves, and that it’s irresponsibly selfish to think we’re allowed to decide whether or not we feel like obeying traffic signals. Sabes was referring to trivial violations, such as, not coming to a complete stop at a stop sign. Can you please document evidence that cautiously treating a stop sign as a yield impacts safety? FWIW I rolled the stop at 21st & Clinton last night during the enforcement and was only given a warning. It was a very informal one at that. The cop just pulled beside me on his motorcycle as I was traveling east on Clinton and said while moving, “I know you’re fast, but you need to stop at stop signs.” I mumbled something to the effect of “yes sir, sorry sir” and he turned around. It felt weird. It probably helped that I’m a white male. Most of the cars who break laws on Clinton wind up waiting behind other cars. A bike cop could ticket most of them. The cars break the laws just to rush and wait at a red light or the next jam up of cars. I hope they do the same for the other community greenways. This morning I was on NE Couch, and was being tailgated by a road-rager who demanded to pass, even though there was no room to do so. She was so infuriated I could hear her screaming at me even though her windows were up. She hammered down and passed dangerously close to me, still screaming. Yes I have video. Happens to me all the time on NE Siskiyou/Klickitat too – once when I was signaling to turn left even. As she passed me, nearly scraping her tires on the left curb of the road, she was flipping me off. Mind you, I was going close to 20 already if not already at speed because I was going downhill. That may be near my house. Please post a link to the vid if you can. Everyone who can, please ride Clinton tomorrow during these actions. Take the lane, and let’s show PPB what drivers are doing to us. Please be super-legal tomorrow*. Any ticketing of a cyclist is a wasted opportunity to educate a driver. You can be sure that the cops will want to appear “balanced” on the driver vs. bike front and will take whatever opportunities are presented to ticket us. Please take the lane and put your foot down at stop signs. *I know you’re an awesome cyclist and can track stand for hours… the point is to make sure that even the least-informed officer won’t waste their time enforcing their version of the law on you. No, don’t put your foot down. It’s not the law and we shouldn’t bow in deference to ignorance. We’re not second class citizens. I agree. Let’s not reinforce cyclists’ second class status. Having to put our foot down would be like forcing drivers to put the transmission in Park, then back to Drive, or pull the parking brake and then release it again at stop signs. Ian, do you continuously signal your turns for at least 100 feet while riding a bike? In fact, I was originally going to write “…whether or not we feel like obeying traffic laws,” but I remembered the law that you’re alluding to, which I’ll admit I’ve specifically pointed out in other discussions as an example of a law I’ve never followed and have no intention of following (nor have I ever seen anybody else follow that law, much less get cited for it). That is, I think you raise a fair point – I concede that there are a few statutes that I willfully choose to ignore in the interest of safety/practicality. That said, I stand by my conviction that it’s important for cyclists to obey the same traffic laws that we demand that drivers follow, such as obeying all traffic signals, which is why I phrased my comment as I did. For me, this is partially a matter of safety and partially a matter of principle. I know you disagree with me on these points, so I’d rather not rehash that argument right now if it’s all the same to you. Doesn’t that law include something about “if you’re able”. I thought the law recognized that cyclists could not always signal due to braking/bumps and other reasons they don’t want their hands to leave the bars? “Being expected to stop at a stop sign doesn’t make you a “second-class citizen.” Which, of course, is not what I said, is it? A complete stop is the law. If someone needs to put their foot down to do that, then that is up to them. But don’t expect me or anyone else to put a foot down when the law does not require it. That was my point and that is what I clearly said. I myself will put my foot down at a stop sign if there’s a cop around or a driver appears unclear about whose turn it is, to make the point. But there’s a big difference between doing that myself versus insisting everyone else do the same thing I do. A difference that sometimes gets overlooked in project-your-personal-values-system-onto-everyone-else Portland. If you take the lane at least make some effort to ride at a respectable pace. Can’t you get a ticket for impeding the flow of traffic no matter if you are in a car or a bike? Not if pedaling at a normal and reasonable pace. 12 mph on a Greenway should be considered reasonable. Enough bike traffic moving 12 – 18 further establishes the flow of traffic. Bottomline: On a Greenway cars should not be the pace setters. RE: setting the pace, this is an interesting take. It seems that when drivers regularly speed on a certain road, the engineers are inclined to raise the speed limit. Too bad the inverse isn’t true. going 9 mph in a 20 mph zone is not being safe, it’s being a ****, and hopefully you’ll be able to enjoy a ticket from the people who do get to make that judgement. yeah, you are supposed to move over if you’re blocking traffic. Not if the lane is too narrow for a bicycle and car to safely share side by side. Riding in the door zone is dangerous. Bicyclists have every right to take the lane on Clinton. I wonder if there’s a way to look this up? I would be surprised if more than 1 cyclist per year is given a citation for this in Portland. Warnings, yes, maybe, but not citations. They don’t even do routine enforcement on the arterial streets like Hawthorne and Division, IMO there’s virtually no chance that there will be anything more than one-off enforcement actions on non-arterial streets. I have to admit, my estimates are actually on the more proactive side. I doubt we’ll see anything close to what I destructed. If the price of enforcement were greater than infrastructure I’d quit my job tomorrow and sign up to be a traffic officer. In what way is it shoddy infrastructure? 80% of the Dutch bicycle infrastructure is sharrows, it’s a popular solution world wide because it works. Infact for ROI it works better than all the rest. I’m willing to bet that Clinton Street (as is) is – if not the safest bicycle “infrastructure” in town, that it’s at least in the the top 3 when it comes to incidents per bicycle rider/mile. It has never had a fatality in 30 years and averages less than a handful of injury incidents a year with automobiles. I suspect the overall bicycle injury rates are on par with the Esplanade and the Springwater (of which there is no official data on). The closest thing to sharrows in the Netherlands are advisory bike lanes and PBOT chickened out when it came to installing those. Advisory bike lanes would be for 18mph streets. On the 9mph shared streets, they don’t bother with sharrows. Can you point to any part of State Law that permits an advisory bike lane. A lane for the use of cyclists that motor vehicle operators are permitted to enter as needed to avoid an opposing motorist. Perhaps I was being slightly off by staying sharrow, is mixed use with cars better? The appropriateness of infrastructure can vary widely by situation. When nearly everyone bikes some times, and a third of commutes are by bike, and traffic laws presume the driver is at fault, and there are thousands of people riding bikes on said street, and streets are designed to encourage going at reasonable speeds, yes, sharrows can function decently. When those conditions aren’t true, sharrows can be less effective. Sort of, like, a cultural thing? IMO, it’s only about 10% infrastructure, and 90% motorist attitude (and I include cops with the motorists). Clearly, this event is a media-circus marketing event hosted by PBOT. I guess this is their biggest bang for the buck, invite the TV crews and make a show of it. I would like to believe that this represents a change in the hands-off approach (unless they’re targeting people on bikes) that the PPB has traditionally taken in regards to enforcements on neighborhood streets. I would like to believe it, but I don’t. They’ll do this for one day and then they’ll go back to speed enforcements on high-speed corridors where it’s more about the money than it is about quality of life. The fact that they’re skipping the morning rush hour tells you how serious they are about making a real impact. My neighbors and I requested enforcement for years on our greenway and got nothing for our troubles. The PPB’s lack of responsiveness to enforcement requests is a cruel joke. 823-SAFE is like one of those placebo beg-buttons for a walk light. It’s there to make you feel better about being at the bottom of the transport food chain. Oh, one more thing, just this morning I saw a City of Portland vehicle bypass the diverters at Gladstone and 42nd. I wasn’t close enough to get a number. Jonathan, can you report back in a few days with stats of how many tickets/warnings were issued? Time to break out the Ackbar gif. It is much, much easier to write a ticket for rolling a stop sign than to explain in court why a pass was unsafe. They will do the easy thing. Pick any stop sign in SW and stand next to it at rush hour, handing out tickets? Will they really do the easy thing? Hopefully this means they will also warn the public a head of time when they do stings at Ladd’s circle as well. Seriously though, I was mirror scraped near the high school on Tilimook the other day….I passed the guy at the stop sign and yelled at him in front of his assumed grandchild. He looked at me dumbfounded like passing on greenways close enough to make contact is a harmless sport. It is not just Clinton. That stretch of Tillamook (technically on NE US Grant Pl) was called out in the Greenways Report as being far over the recommended car count, and I think it’s high on the list for improvements. I hope it happens soon-there are far too many aggressive drivers there now. It’s pretty amazing, actually horrifying, to watch how some parents drive around their children’s friends and classmates who are riding to/from school on US Grant Place during pickup or drop off times. I saw some parent drive into someone on a bike today. They just pulled out in front of them without even looking after dropping their kids off. US Grant is a proposed addition to the Emergency Response routes, so cannot have significant diversion. Hancock one block south is a better pathway, particularly if turned into a series of alternating one-way streets with contraflow bike lanes, similar to what’s been done in Vancouver, BC. 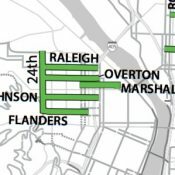 There is an idea that has been floated to move the bikeway to Hancock and bypass the school and those awful door zone bike lanes. If we can figure out how to get through Hollywood and across Sandy, I think it is a great idea. There is already a crossing at 33 RD and it could by- pass that off-set intersection at 21st…..though a few blocks would need resurfacing. I would like to see a diagonal crossing at 42nd and Hancock for all cyclists and pedestrians. Peds and cyclists would get a green in all directions while the cars wait. This would allow for a connection east/west on Hancock and improve safety at the intersection for all users. Hancock would need diverters at 33rd and 39th. I’m not sure why Tillamook was chosen as the bikeway. Hancock seems like a better option. the tricky part is getting east of 42nd. It would be less costly to go back to Tillamook and cross at 43rd to 45th, but a diagonal like the Alameda crossing might work as well. Happy they’ll be doing something on Clinton. This city seriously needs to up traffic enforcement. Upping traffic enforcement alone would pay for upping traffic enforcement. There’s no sense at all out there that drivers are worried about speeding or driving recklessly. Big collective sense of impunity going on. One would have to drive REALLY badly for an extended period of time before you would be at risk of getting a ticket in a neighborhood. You would likely kill someone before you’d get a ticket, which I guess is the problem. Police won’t do anything about bad drivers. Case in point, someone just hit me with their car and drove off. The officer to the scene was going to charge ME with hit and run rather than the driver. I didn’t write down their name, but I’ll get it and report him. I won’t post his name publicly, even though he’s a real (explicit language self censored). It is your legal right to post the name publicly. Get the word out. Are the cops still handing out 242s? The typical cost of a moving violation i.e. running a stop sign. The real irony is that tickets cost the same for either motorists or cyclists, and Portland collects something like a $60 surcharge on each ticket, supposedly for ‘traffic safety’ projects (the same moving violation will only cost you $180 outside the city). Where do you get your information? Portland only sees a small portion of citations. The majority goes to the State and County. Portland doesn’t have any courts – the county does. Judges are now limited to how much they can reduce traffic fines, and yes, COP does have a surcharge for ‘traffic safety’. Apparently you weren’t an Oregon resident yet when this was implemented. The Oregonian says the safety fund is a State Fee. I’ll ask again, where do you get your information? But feel free to keep spamming this site with your ‘I am right and you are wrong’ posts; at least they’re good for a laugh or two. I’ve got no faith that the police have any interest in making cycling safe. This is a PR move, and as such it will almost certainly target cyclists at a rate disproportionate to their road usage and to the danger they pose to other road users. 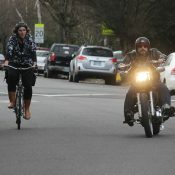 My wife and I both wrote to the city a few years ago requesting some level of enforcement of traffic laws on Going after it was converted to a bike blvd, and didn’t even get a response. In the years since then, literally the only time I’ve ever seen a cop in the vicinity of Going, he flipped an unsignalled U-turn and nearly hit me and another cyclist himself. While this point may be true, there is a strong policy for not doing it. Consistent and aggressive enforcement of violations that serve little govt interest and are intentionally orchestrated to raise significant money for police budgets are one of the root causes of what led to the Ferguson unrest. Police enforcement in the City of Portland is carried out to save lives and achieve strong municipal interests. Raising revenue from citations is not one of these municipal interests. The downside of this is that traffic division must compete with other police divisions and other municipal services/bureaus for general funds. The upside is that Portland is less likely to be the next Ferguson. There is a significant public interest in the educational aspects of what you call aggressive traffic enforcement. How many times do we have to relearn that one of the primary things keeping people from walking and cycling are scofflaw motorists? When all of our motorists have developed the habits of running every stop sign, not yielding to pedestrians, speeding and passing too close to cyclists, it’s no wonder we have such low participation in active transportation. It’s not “aggressive”, it’s just traffic law enforcement. Until we do it seriously, each person receiving a citation will be convinced s/he was singled out, so there will be push-back. It’s a shame to see pre-push-back coming from the cycling community. Tender55–I agree with B. Carfree. I don’t care how someone’s caught speeding–if they’re speeding, they’re breaking the law and endangering others. Ticket them. I don’t care if it’s a speed trap, I don’t care if it’s “entrapment” (and how can it be entrapment if they are, indeed, speeding?). Ticket them. 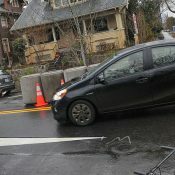 Seems like we went down a slippery slope (just one of many in laissez-faire Portland) and now we’ve got what we’ve got–a bunch of scofflaw motorists with an outsize sense of entitlement. It reminds me of the death of ‘traveling’ calls in the NBA. I stopped watching for a few years and when I came back–lo and behold, all I saw was players routinely traveling all over the place and no refs calling it–drives me crazy! Refs let traveling calls slide and everybody started traveling. Now players probably don’t even regard it as traveling at all and would be p.o-ed to be called on their half-dozen steps: “Unjust!” Napster made it easy and private to steal music, and everyone started stealing music (and bending over backward to justify it, lecture those they thieve from and generally take the offensive). This is how humans are. That doesn’t make it good or something we should support. When something illegal or not-right that benefits an individual at the expense of others is made easy for people to do, they will do it. Trying to claw back any kind of law-abiding civility and sense of a social contract/the greater good from drivers in ‘hands-off-it’ll-work-itself-out’ Portland now will be a mammoth task. But I think it’s safe to say we’ve reached a nadir and thus it’s time to try something as oh so civil liberty-violating and shocking as ticketing reckless drivers. Most illegal driver actions are 7:30am to 8:30 am. Cars headed East on Clinton at 50th towards 39th. Speeding. Illegal passing. Driving too fast for conditions. Trying to bully bikes approaching head on when there is only a single lane for both directions of moving traffic. See details below. Today I worked late, rode home, ate. I never make the podium on early comments. But better late than never. I suggest paid members should get pushed to the top if the likes add up. Yes, if they really want to make a change, they need to be there by 7:30 AM if not earlier. Why 9AM? It makes you wonder how good the grasp of the problem they have. Yes, people cut through the neighborhood all day, but the commuters, the ones that do it every day, are where you have a chance to change behavior. I think any type of traffic enforcement on a neighborhood street is amazing and should always be encouraged. I also think that there is so little of it because of resources constraints. Jonathan has reported on how there are only 2? officers assigned to bike theft, and we all know what a rampant issue that is to this community. At the Sellwood neighborhood board meeting last month I learned that there is only ONE patrol car in the region between SE Powell/ochoco/7th/50th between 2am and 9am (cut through commuter car traffic prime time, not to mention put smoking teens in the park :). I’ve only lived here three years so I really don’t know what happened to the PPD budget 10 years ago, but I do think we are seeing repercussions in the enforcement of the laws that are directly relevant to ‘livability’. And have been wondering how to do something about that…. This is what’s always puzzled me–aren’t traffic tickets a big income generator? So can’t the PPD justify hiring more traffic officers by the projected windfall borne of a fresh spankin’ ever-increasing legion of arrogant & dangerous lawbreaker-drivers? And do we really need more officers so much as more radar vans and ticket cams? Does not seem like something that would break the bank–more like something that would make bank. This is what’s always puzzled me–aren’t traffic tickets a big income generator? It sounds like another one of those things where somebody has to be the grown-up (something I think often in Portland anymore). Of course the (mostly scofflaw driving) electorate will be against speed traps and ticketing! But they (we) don’t have much of a leg to stand on, do we? Nobody’s twisting your arm to speed and drive recklessly–it’s not a gud- or human-given right. So ticket the bloody hell out speeders, texting drivers, distracted drivers, reckless drivers! Set up speed traps everywhere! And use the less costly vans and cameras. Then you’ll have your income generator, I suspect. The one speeding ticket I ever got was in the infamous L.O. speed trap as you enter/exit the city, northbound. It was at 1:30 on a Monday morning and I was going 10mph over. I paid the ticket and showed up before the judge and–despite it being my only infraction EVER and having a “safe driver extension”–he didn’t reduce the ticket. I don’t remember ever blaming the speed trap or thinking “Unfair!” You speed, you deserve a speeding ticket. The end. Heh. 🙂 Sorry, Alan 1.0–my fervid rant wasn’t directed at you! Just got excited. And yes–I am all for the grownups! Bring on the grownups! And RULES! seems counter-productive…. last couple years has been pure hell just going down the road on this street. what happend? omg! isnt it a bikeway? not carway? Anyone else feel like Ankeny has quickly became a speedway in the AM? I see people flying down on a daily basis now. Yeah, Ankeny is getting worse. I see people double parking large vehicles that block sightlines all the time and I often see parked cars completely blocking the crosswalks and sidewalks. Going is getting worse too, and so is Holman (my two most frequently used routes). Portland is slowly turning into Brooklyn. Plan accordingly. What a strange way to enforce the law. To announce the time and place of law enforcement is to imply that the law will not be enforced elsewhere at those times nor at other times in that place. Drivers need only wait until this little spurt of enforcement is over and then go back to their former behavior. I wish the police would pre-announce their enforcement times for Ladd Circle. If only they would pre-announce enforcement efforts for bank robbery. That would sure make the lives of oh-so-many bank robbers and tellers better. Right? Please take the lane and put your foot down at stop signs. *I know you’re an awesome cyclist and can track stand for hours… the point is to make sure that even the least-informed officer won’t waste their time enforcing their version of the law on you. I ride 3 wheels – I never unclip during a ride. That request is a tall order because 7th is a collector all the way to Fremont, which means it needs to accommodate emergency vehicle access. Creating a greenway will require changing this designation in the next Transportation System Plan update. And a diverter at Tillamook would be ill-advised because it will push cut-through traffic onto another greenway instead of solving the problem. But I agree that 7th is awful for bikes and can’t believe people would willingly choose to ride there instead of Williams/Vancouver or Rodney. For people who live East of MLK, 7th is the least steep route that doesn’t involve crossing MLK. When I commuted on 7th regularly, it was a toss up between risking aggro drivers on 7th or risking inattentive drivers when detouring around 7th. For me, taking Vancouver/Williams from and to my old job would require me to cross MLK twice each trip, for a total of 4 times a day. So it’s really a tossup. 7th should not be a collector, especially since it’s between a state highway and a collector already. SE 7th, Sandy to Division, is the only portion of 7th Avenue in Portland that is designated a collector street (Traffic Access in CCTMP jargon). I’ll tell you what, the grid of Bicycle Boulevards in Berkeley is almost never populated by rude dangerous drivers. The beautiful landscaped diverters are placed to always thwart through-faring auto traffic. Any attempt to drive on a Boulevard in order to sneak around a traffic-clogged arterial are met with punishing experiences. The bodacious 10′ bike icon decals are located every 100 meters or so, the street signs are all logo-ed and purple: super conspicuous cues that warn drivers off. Today I saw two motorists get pulled over by cops on motorcycles just after 7pm near the Clinton Street Theater. As I biked past one of them I overheard the officer say something to the pulled over motorist along the lines of, “When you’re in this neighborhood, you’re going to have to …” and then I was out of earshot. I went by between 5 and 6. I saw multiple drivers drive on the wrong side of the road, speed, and many turned around (dangerously) when they saw the police up ahead. None of these people were pulled over. Someone also ran a stop sign ( without stopping or slowing down at all) in their car and I had to slam on my beaks to avoid being hit. That person wasn’t pulled over either. But I did see Someone on a bike pulled over for rolling through a stop sign at about 1mph. Pbot doesn’t have the right priorities. Oh and those signs that PBOT put up are nearly impossible to read while going down the road and can distract people from paying attention to other people. Sounds like the PPB’s priorities have not changed in the least. I understand the calls for diverters on Clinton, but I also understand that they are really just admissions of failure on the part of policymakers to do the right thing, which is a massive increase in public transportation and a massive decrease in on-street parking (and surface lots). I see diverters as a secondary step, not a primary one. We have it backwards. 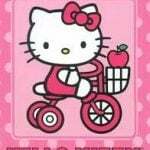 I ride a bicycle often and a motorcycle other times. At no time, by any mode, during daylight hours am I interested in riding on Division East of SE 12th, and it isn’t really on my route anyway. With the diverter, I feel like I am being funneled onto a bad road because the people of this city don’t feel like paying for the police we need. The same goes for victims of bicycle theft and so on. As a greenway, I don’t think Clinton has been successful. Maybe the diverters will help, but I’m not holding my breath. Portland becomes a bicycle city when they don’t have to take side streets to stay safe. Rode through here last night up Clinton from 12th to 26th about 5 PM. I only saw one cop and he had just given a ticket to a cyclist. Hadn’t ridden here in a while, but was reminded what a scary POS bike lane SE 26th is from Gladstone to Clinton – super narrow, gutter run, with cars riding the white line with their tires, going too fast; not to mention the pot holes, manholes, storm drains, and water valve covers that occupy a good part of this bike lane. Especially bad at night in the rain. I’m not looking forward from when my children start to use this infrastructure to get to school on their bikes, if I let them. By the time the city’s “Bike Plan” or whatever they call it for improvements in this area becomes implemented, my kids will have their own kids. And that’s the optimistic timeline. Evocative description, Bald One. SE 26th has become much more harrowing to ride as car/truck/motorcycle speeding becomes more and more routine and nothing is done to deter the trend (no speed enforcement). It really is contagious–it’s weird to watch out the window, a lesson in human behavior right before your eyes. Generally, if a driver drives the speed limit (25mph), drivers behind them calm down and just toodle along, not tailgating, not crowding. Like follows like. But let there be a little gap and a speeding driver charge through and everyone behind revs it up, tailgating, crowding, driving visibly impatiently. It’s almost like an autonomic response. And so frustrating to witness because it’s easy to see how simple enforcement could drastically change things for the better here. As it is, it feels absolutely terrible and getting worse to ride or walk down this street, lined with homes, yards and trees. 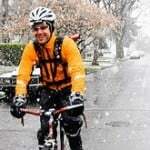 « $1000 Scholarship to Attend National Bicycle Summit in Washington D.C.